Incepted in the year 1993, A. B. C. Transformers Private Limited is one of the prominent manufacturers, suppliers and service providers of a wide range of transformers. These include distribution transformers, power transformers, dry type transformer, auto transformer, furnace transformer, isolation transformer, servo transformer, potential transformer and current transformer. 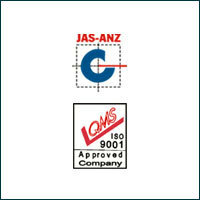 Our entire range of transformers is in conformation to IS/REC standards. These transformers are manufactured using best available components and under go strict quality norms; these transformers are appreciated by the clients for long trouble free operation. Our production capacity has been increased from 25 KVA to 20 MVA in a short time. We started manufacturing higher rating transformers that are of 66KV class in the year 2006. Currently, our manufacturing unit has a installed capacity of 300 units. Apart from this, we also conduct quality test on our transformers to ensure that we market only quality transformers. Some of the parameters on which are quality tests are conducted are dimension accuracy, corrosion resistance, abrasion resistance, zero sequence current, insulation resistance and voltage ratio etc. Further, to avoid further inconvenience, we also offer after sales services on our transformers. Performed by experienced engineers, our after sales services include installation training, operational training and onsite support for our transformers. We are continuously progressing under the able guidance of our Founder, Mr. G. K. Bansal. Capitalizing on his experience and expertise in this industry, we have been able to carve a niche for ourselves in this domain. Our effective marketing strategy and client centric approach also assists us in catering to the needs of a wide clientele. Some of our other prestigious clients are BSES Rajdhani Power Ltd. Delhi, Dakshin Haryana Bijli Vitaran Nigam Ltd., Uttar Haryana Bijli Vitaran Nigam Ltd., BSES Yumuna Power Ltd. Delhi, Jal Board Delhi, Jal Board Noida, Contractors of MES & HUDA, CPWD, Uttar Pradesh Power Corporation Ltd., Noida Authority, Uttaranchal Power Corporation Ltd. and AJMER Vidyut Vitaran Nigam Ltd.
We are engaged in offering a wide range of transformers that are designed and developed using latest technology with A Class/ F Class insulation. Conforming to IS/ REC Standards, our entire range of transformers is assured to have high quality standards. Our transformers are manufactured using qualitative oil, insulation, winding etc procured from reliable vendors. Our range of transformers includes distribution transformer, power transformer, current transformer, dry type transformer, auto transformer, furnace transformer, isolation transformer, servo transformer, potential transformer etc. Core: It is made of cold rolled grain oriented silicon steel laminations using latest technique of annealing. Interleaved and mitred joints help in reducing the core losses and magnetizing current. It is designed to sustain over fluxing up to 12.5%. Both the sides are insulated with individual stamping using the oil resistant and temperature resistant insulating material. Winding: It is of any type such as spiral, crossover, helical, disc that are designed to withstand the dynamic, mechanical, optimum electrical, and thermal stresses depending on the current and voltage. The coils are wound with electrolytic grade high conductivity, annealed wire and strips covered with quality insulation. All coils are reinforced, insulated and pregnated with insulating varnish to with the effect of short circuits and impulse voltage shocks. Cooling ducts are provided to minimize the hotspot temperature and temperature gradient between winding and oil. Insulation & Oil: The insulation material such as bakelite tubes, pre-compressed boards, corrugated cylinders, blocks, insulating tapes, glass sleeves varnish, empire sleeves, epoxy bushing and porcelain bushing are used to ensure long life of the transformers. Oil used as a coolant and insulating medium is conforming to IS: 335. Before filling in to the transformers, oil is centrifuged, dehydrated and filtered through 'Stream Line Filtration Plant' and tested to ensure moisture free. Tank & Radiators: It is made of quality mild steel sheets, plates and pipes by electrical welding. Proper bracing and stiffeners are provided for robust construction. The tanks are tested at specific pressure for leakage at joints and welds. Sufficient cooling radiators are provided for maximum dissipation of heat during extreme ambient temperatures. The radiators are made from pressed steel fins or elliptical tubes. Paints: Tank surface exposed to atmosphere is galvanized & painted with two coats of red oxide paint to provide maximum resistance to corrosion and two coats of epoxy based anti-corrosive enamel paint. Surface in contact with oil is treated with two coats of 'Oil and Heat Resistant Paint'. This paint has more effective resistance compared to ordinary enamel paint against corrosion andoil & heat reactions. Temperature Rise: Designed for maximum temperature rise at full rated load. 40°C/50°c for oil & winding for aluminum wound transformers and 45°C/55°C for oil/Winding for Copper wound transformers. Our team members are from technical background and have rich experience in different fields. In order to avoid inconvenience after sales, we have competent engineers offering efficient after sales support to the clients. Our sales representatives are consistently working while giving prime importance to innovation, development, quality and service to customers. This innovative approach of our team of experts develops new process, conditions and establishes stringent quality standards. Dakshin Haryana Bijli Vitaran Nigam Ltd.
Uttar Haryana Bijli Vitaran Nigam Ltd.
BSES Yumuna Power Ltd., Delhi. AJMER Vidyut Vitaran Nigam Ltd.